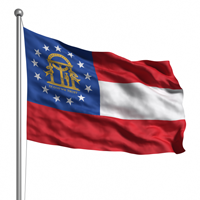 Opening a new chapter in your career begins with the required real estate license education to get your Georgia Real Estate License. Real Estate is an exciting and rewarding career and we have made completing the requirements very easy. Get started today and not only learn the requirements to pass the exam but learn what it will take to be successful. Give yourself the best chance for success! Georgia 75 Hour Prelicensing Course (online) - Real Estate Principles, Practices, Georgia License Law. National Real Estate Exam Prep (online) - The SMART Guide to Passing. MathMaster (online) - Clear and concise review of real estate math. *All of our prelicense courses are designed to be taken independently from any specific textbook. The online prelicensing course covers all the required material necessary to prepare you for the GA state licensing exam. The Jacobus textbook included in this package is an excellent additional learning resource and provided as a supplemental reference only. Complete 10 quarter hours or 6 semester hours in real estate courses at an accredited college or university (usually only real estate department or law school courses will meet this qualification). They are easy to find. Most of the time our providers are offering discounts on popular courses. Just click on the purchase button to see the discounted price. The prices listed here are the typical retail prices.